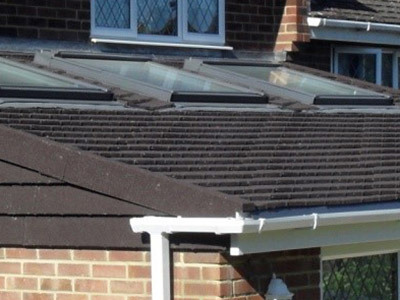 Are you looking to replace your lean to or extension roof, or building a new extension? Here at Britmet Lightweight Roofing we have a fantastic range of lightweight steel roofing, perfect for your requirements. 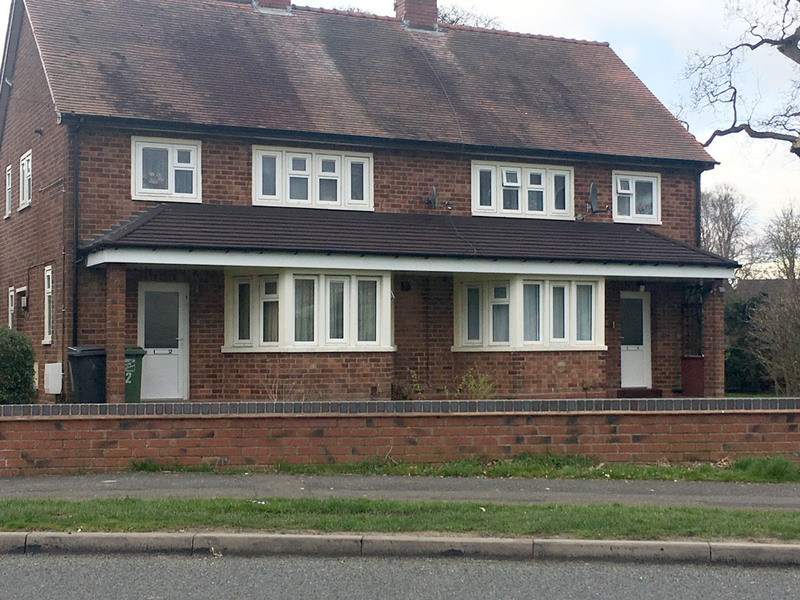 Britmet are fast becoming the most popular choice for lean to’s and extensions across the country. Lightweight tile effect roofing systems are being chosen more often than not due to its huge range of benefits, which in turn, passes on savings to you. 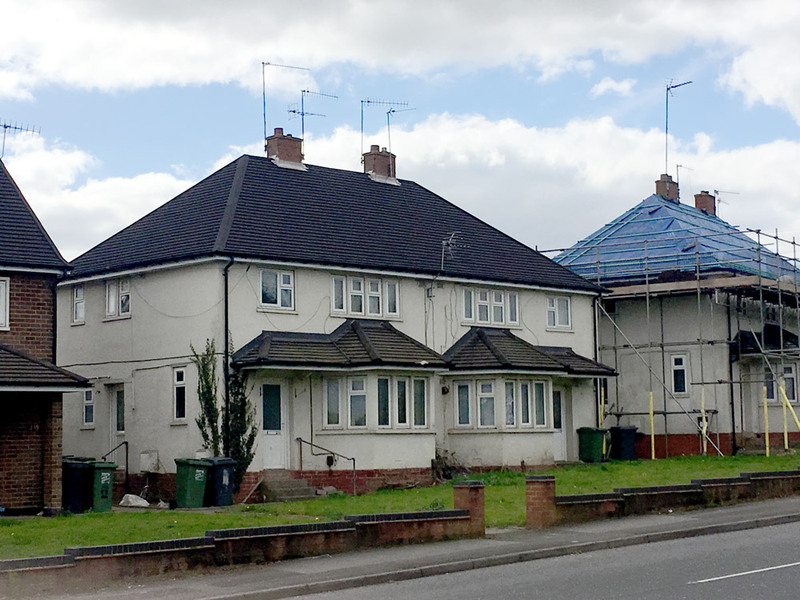 Let’s look at how you can benefit by using our superb lightweight roofing systems. Our metal tile effect roof panels weigh as little as 7kgm2 which is 7x lighter than traditional material. This means that our products pose no threat to the foundations or structure of an existing lean to or extension which can often be less supportive than the foundations used for a house for example. 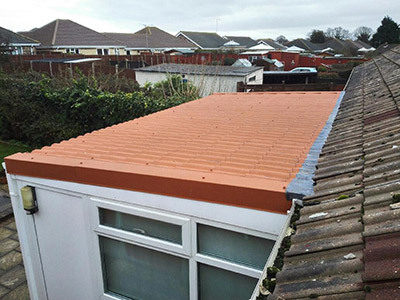 If you’re looking to build a new extension or lean to roof, with our superb lightweight properties you could actually reduce the structure of the new roof saving you money on your project. More often than not the pitch of your new lean to roof will be restricted by upstairs windows or external pipes etc. 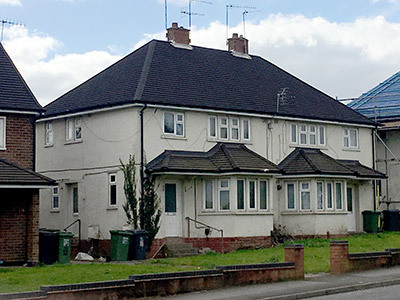 as a result of this home owners frequently opt for a flat roof to avoid any issues. 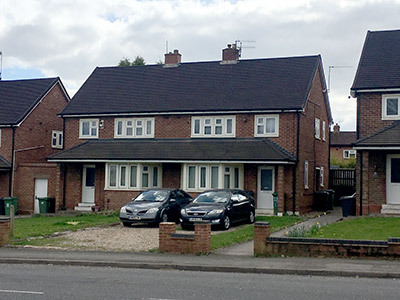 Flat roofing however can stand out and be unattractive, whilst also require maintenance and repairs fairly quickly due to deterioration, which in turn can lead to damage to the interior of your home. 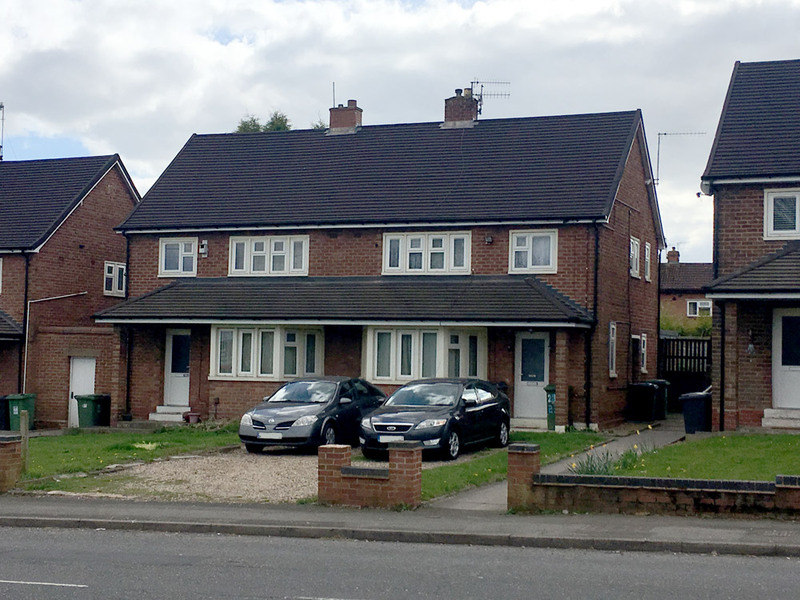 Our Low pitch roof tiles can be installed to incredibly low pitches - down to 5 degrees to be precise, which is the lowest pitch available in the market for tile effect roofing systems. This makes Britmet Lightweight Roofing an ideal choice for your low pitch lean to roof, you can now have a beautifully aesthetic roof to match your existing property without any compromise as you can achieve a clearance from your upstairs windows. As a British manufacturer, our range of lightweight roof tiles all suit the same profiles and textures as traditional roofing materials found on your existing property. So, if you have slates or flat concrete tiles to small plain tiles or profiled concrete tiles such as double romans we have the products to match with a wide range of colours to choose so you can be confident that once your roof is installed you wouldn’t notice the difference. We know that time is more important now than ever before, that’s why we have developed and perfected our lightweight and low pitch roof systems to be virtually maintenance free over its entire life expectancy of 60 years, with a hugely impressive 40 year weather proof guarantee. This means you can spend your time on things that matter to you the most and not having to worry about your new lean to or extension roof for years to come. Why not contact us today on 01295 250998 or contact us here for free technical advice, quotations and how you can benefit from a new lean to or extension roof with Britmet Lightweight Roofing.